I spy with my little eye, something beginning with WHALE! 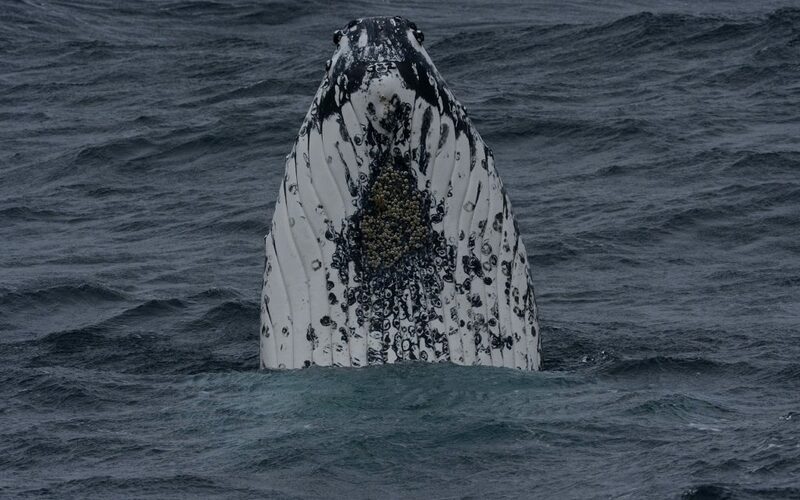 Scientists on research vessel Investigator were treated to a spot of whale watching over the weekend but it wasn’t just the whales being watched! 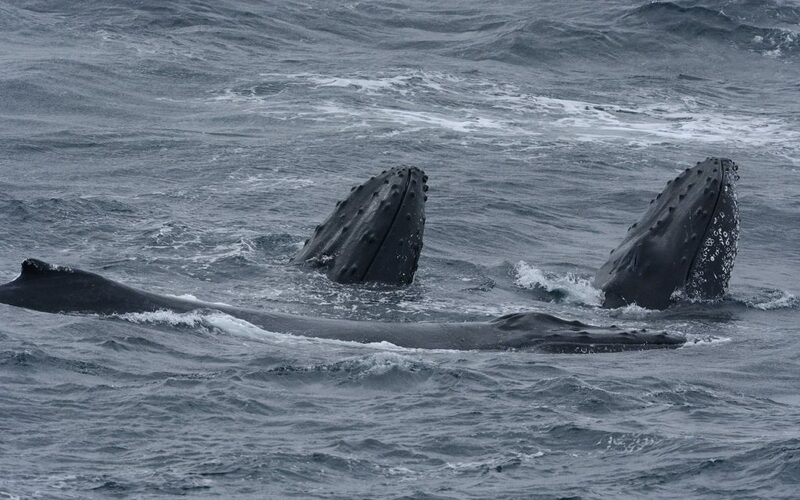 While on station (parked) in the Tasman Sea to conduct ocean and sea floor studies, Investigator was first visited by pods of 2 – 5 humpback whales (a baleen whale) approaching to within a few metres of the ship. 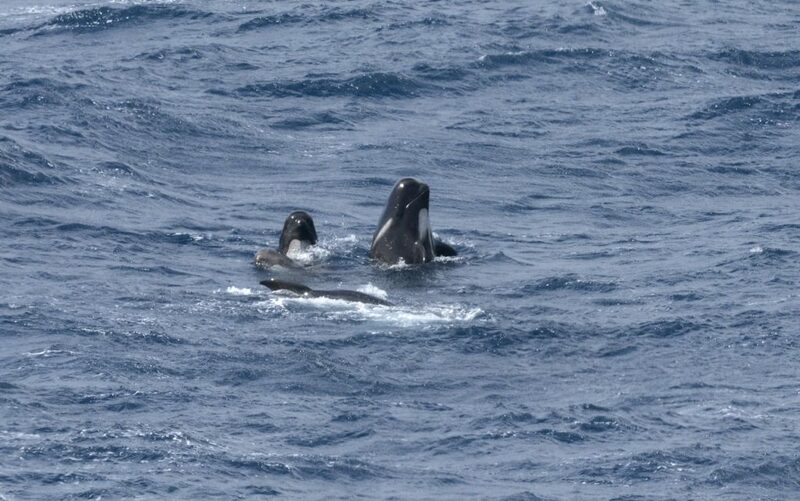 The next day, the ship was surrounded for an hour or so by an impressive pod of 60-80 long-finned pilot whales (a toothed whale). And the whales put on quite the show! 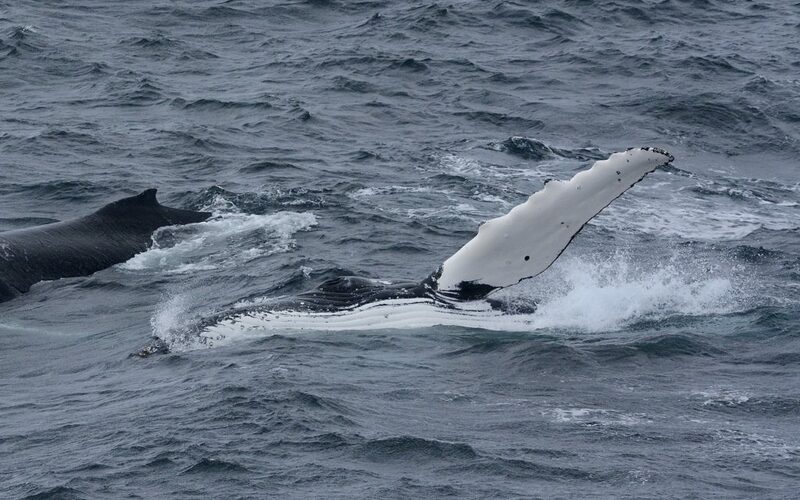 Those on board were treated to some highly energetic displays of whale activity, with multiple breaches being observed (full animal out of the water and landing on its back), as well as regular pectoral fin and tail fluke slapping. Whales were also seen hanging vertically in the water with only their tail flukes exposed above the surface. At this time of year, humpback whales are on their migration south from warmer breeding grounds in the tropics to cooler feeding grounds in Antarctica. It’s an incredible journey, with some whales travelling up to 10,000km. On this day, those on board Investigator were lucky to find themselves parked right in the middle of the migration highway! 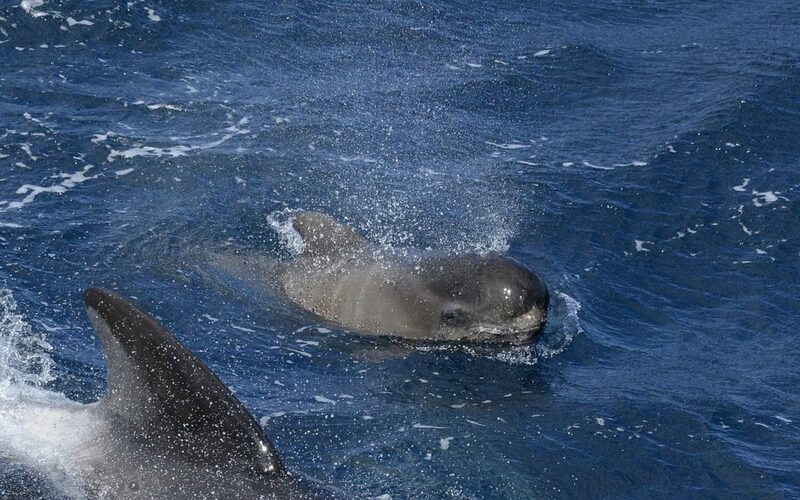 Thanks to Dr Eric Woehler and Kelly Woolerton from Bird Life Tasmania for the beautiful photos of this amazing encounter at sea! Australia’s Marine National Facility is a blue-water research capability, funded by the Australian Government and operated by CSIRO. Having a whale of a time here? Dip into more of our voyages here. _His_ throat? Are you sure?